Questions about Hardware Resources VAN090-24-T? 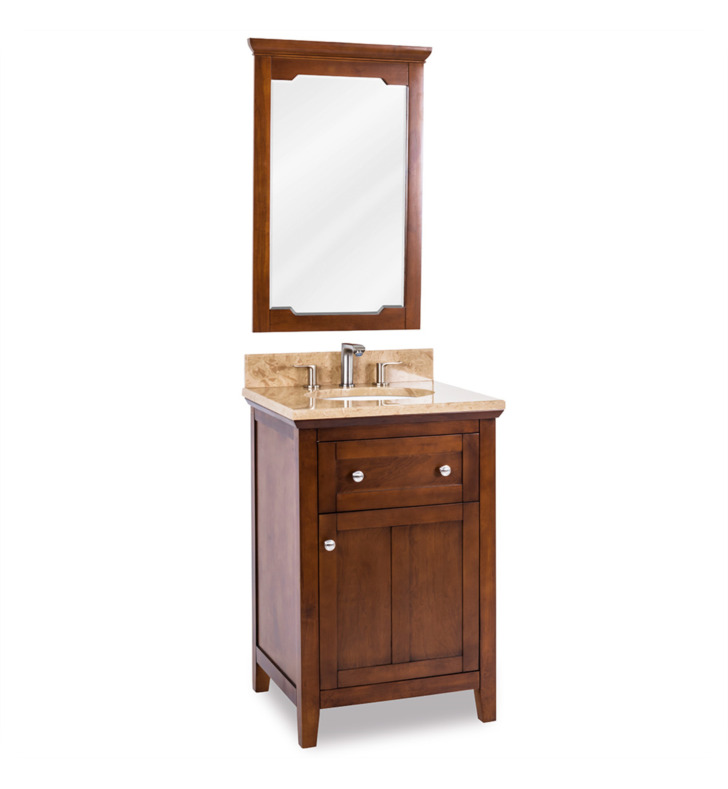 This 24" wide solid wood vanity features a clean shaker design in a warm Chocolate finish. 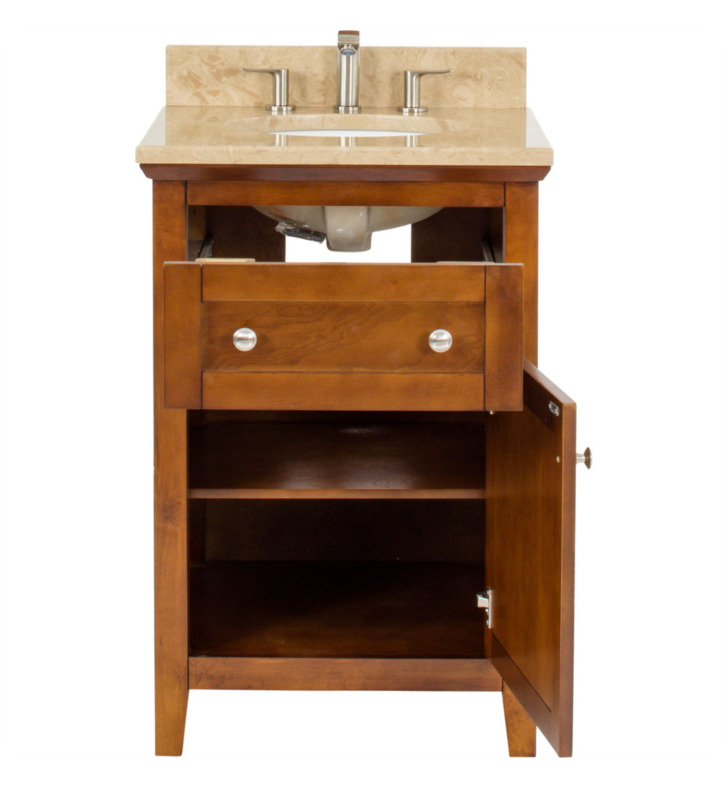 With a top drawer fitted around plumbing and spacious cabinet with adjustable shelf, there is plenty of storage space. Drawers are solid wood dovetailed drawer boxes fitted with full extension soft close slides, and cabinet features integrated soft close hinges. 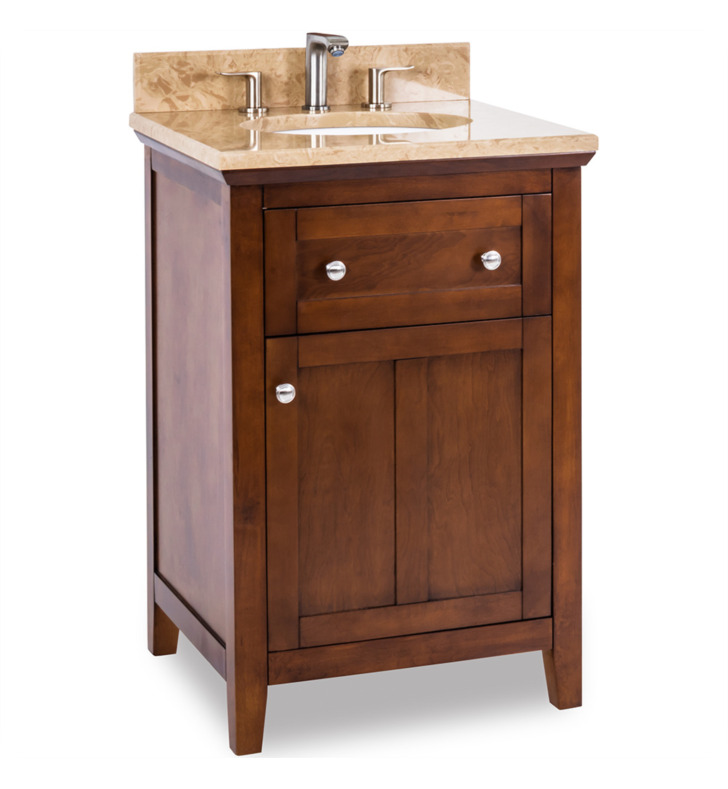 This vanity has a 2.5CM engineered Emperador Light marble top preassembled with an H8809WH (15" x 12") bowl, cut for 8" faucet spread, and corresponding 2CM x 4" tall backsplash.